Four year old Rocco is looking for a new home as his family feels he deserves someone with more time for him. He is very playful with other dogs and is pretty easy going. He has energy for adventures but is also happy to relax at home. He is neutered, vetted and ready to go! 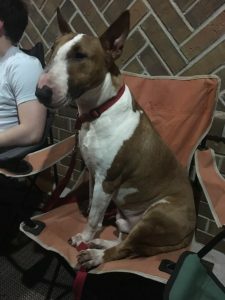 If you are interested in adopting, please submit our adoption application online www.texasbullterrier.org.